It's the world's best play date: in a pile of freshly-raked leaves under trees in their autumn glory. Beautifully crafted and lovingly detailed, this meeting between a Golden Retriever and a Jack Russell Terrier will please any dog lover. 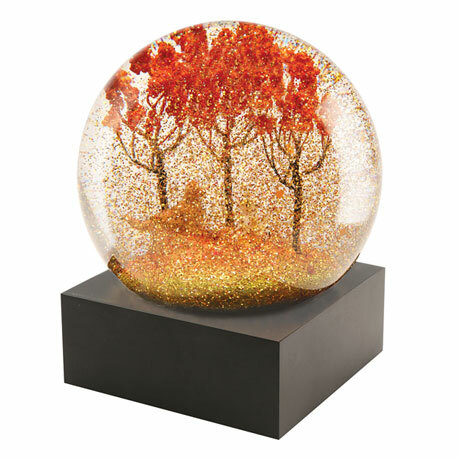 Shake it for a dusting of gold glitter. 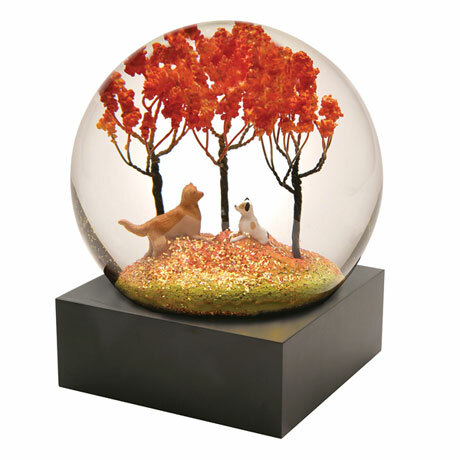 Glass snow globe on resin base with a piano black finish. 4" diameter, 5" high.